When we design your website, we don’t believe in a "one size fits all approach”. You need a system aligned with the exact needs of your business, and that will grow with you well into the future. You only get this flexibility and confidence with a bespoke system. Our mission is to design a website that achieves excellent results for your business and which delivers a fantastic experience for your users. From the initial design stages through to ongoing development, our dedicated team is with you every step of the way. Established for over 10 years we are specialists in the development of bespoke websites, online systems, and custom databases. We believe that bespoke website development means more than just deploying a WordPress plug-in. Our developers have years of experience developing custom systems from the ground up; we can help plan, design and develop the best solution for your online business. 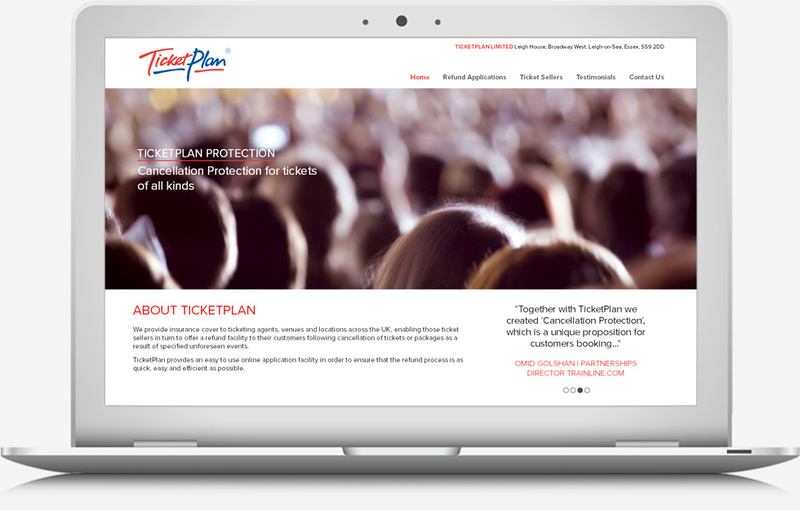 This development involved creating a bespoke content managed claim system manager, the system allows TicketPlan to receive and process all claims through the online admin interface. "Phuse have been working with us recently on a new project. They took time to establish exactly what was needed and designed and implemented an excellent solution well within the rather demanding timescales that had been set. They were professional, efficient and a pleasure to deal with. We would have no hesitation in recommending their services. "